We had another super busy week of homeschooling. It was fun. I was able to attend class with Phi last Tuesday and I very happy to report that she is doing really well. I love going to class with her, she makes me very proud. This week Phi and Joey tacked the westward expansions. 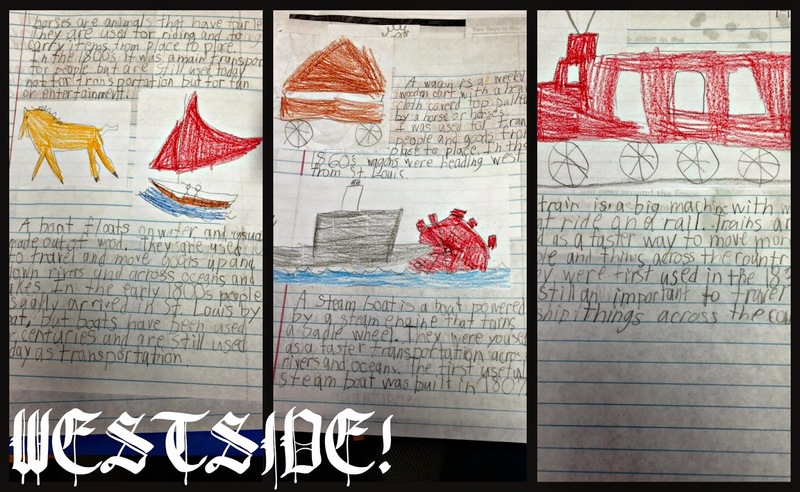 Specifically the modes of transportation used to get west. Joey and Phi have been working on social studies / history together and I think it might be time to change it up. This assignment took 4 hours for them to complete and they both were bored by it. I think for next week we will look over the assignment and figure out a way to make it more fun and exciting for them! 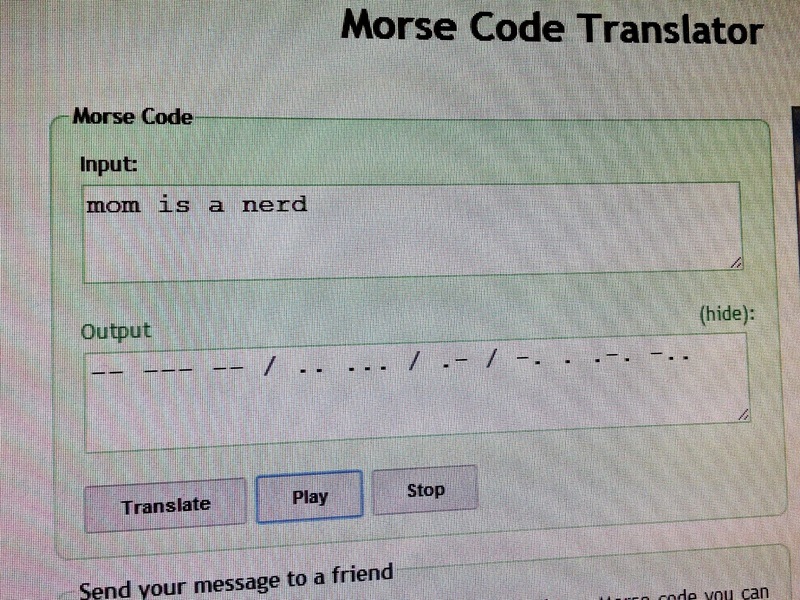 To expand a little on morse code we found a translator online. This way we were able to see and hear what a message sounded like. Here is what Phi translated. Of course. 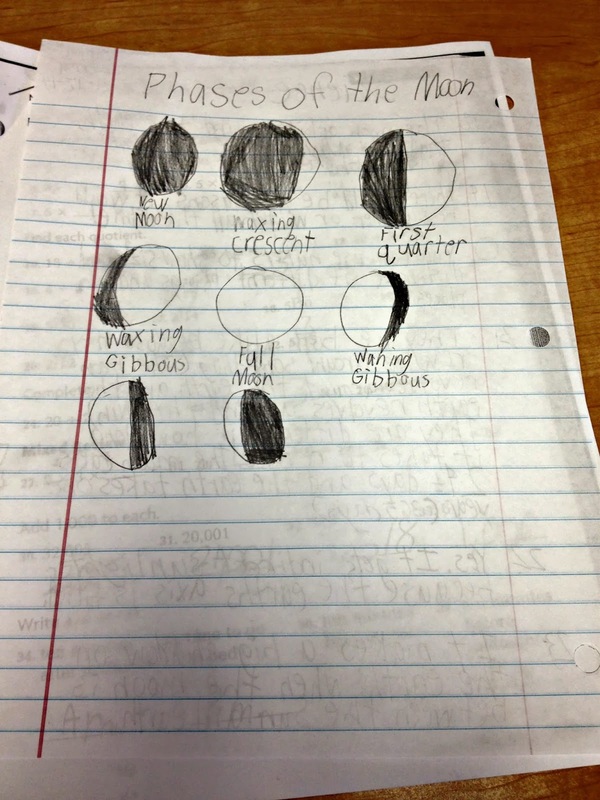 Phi has a test on the moon and the different phases. We did a little review, and I think she will do great on the exam. Even Louie knows this stuff! The rest of our week was filled with 4 more chapters and lapbook work for Mr. Poppers Penguins where we covered everything from how credit works, to the Space Needle in Seattle, to how to deal with disappoint. 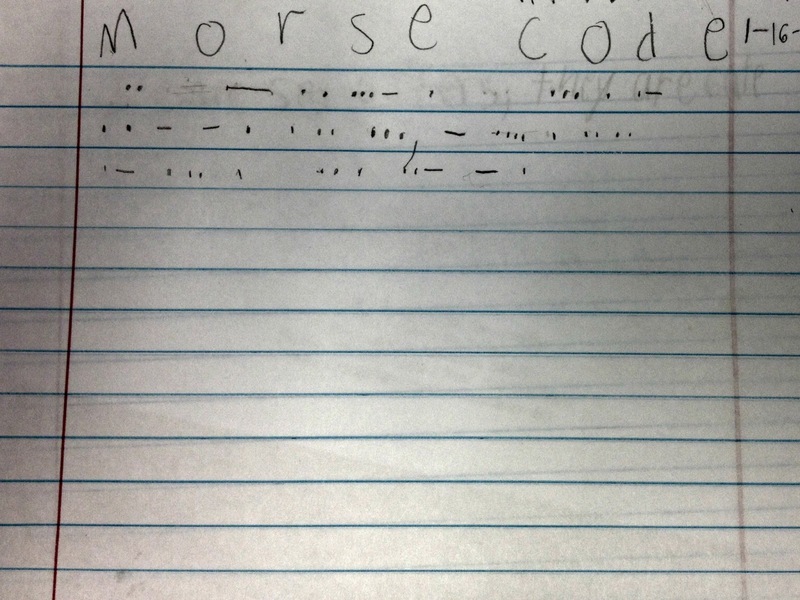 Of course the usual vocabulary and comprehension questions were in there too. Phi was able to test on one book on her AR program. When it comes to reading I am finding that the biggest challenge for Phi is finding something to read. She likes to start a book and then a few days in decide she doesn't like it and abandon it. We also worked on prefixes and suffixes for grammar. We are started practicing for state exams this week too. Her teacher gave us a website where we can practice the exams. I really love this and think it's important for Phi to be familiar with the test format before the test date. As far as multiplication goes, we are very very close to testing out of 0-5's! It was a great week, and we are looking forward to next week and the start of karate classes at school on Friday!